You've played other trump games, but none quite like this. Wizard is exciting, easy to learn and fun for the entire family. This award-winning game is great for parties or a night of family fun. 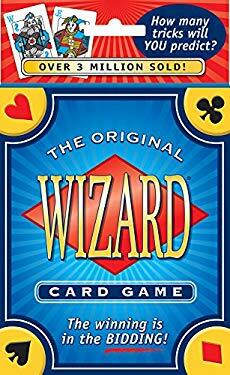 Wizard is Hearts and Whist with a twist: Wizards beat all the cards! It's the "ultimate trump game", and a great deal of fun for the whole family. Deck is comprised of 60 cards.